Heavy duty bandsaw miter cuts in both directions. 13 and 17-1/2 inch capacities. 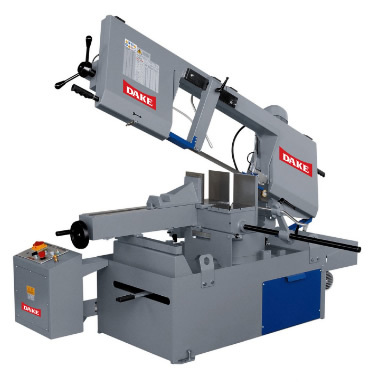 The SAR series features a rugged solid design with cast iron saw frame and vise to eliminate vibration. Call me, Jason, at 1-800-748-9068 and get your best quote ! I’ll answer your questions and make an honest recommendation for the right saw. I can save you some trouble and save you some dollars. Control Panel on Shown Pedestal. SAR 440 SA Hydraulic powered vise for fast setups. Flow control valve to regulate how fast head falls to work. Easiliy replacable units include blade guides and cutting table plate.